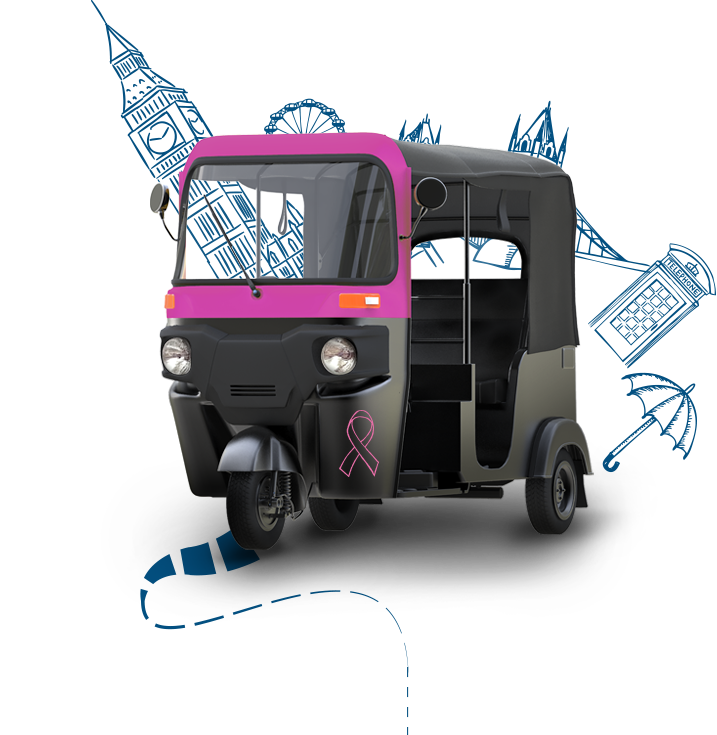 The first Tuk Tuk UK Auto Rickshaw started life transporting three ladies dressed in pink jumpsuits across the UK for Genesis breast cancer charity. 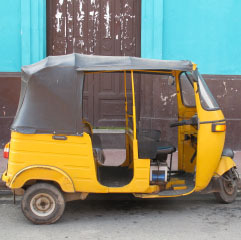 One alcohol fuelled evening, Tuk Tuk UK Director, Robert Leggett was at a charity auction and decided to bid on this very Auto Rickshaw. 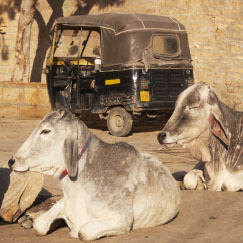 As I’m sure you’re aware, Indians don’t seem to give a Tuk about road safety. That’s why TukTuk UK’s team of qualified auto technicians work tirelessly to amend and adapt the Tuks for use in the UK. Every single TukTuk has to be individually tested at a VOSA centre prior to being UK road approved. You can try and do this yourself if you want, but beware it took us over 7 months to get our first Tuk approved. 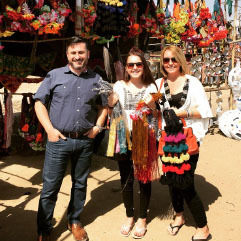 It’s been a really interesting journey, but we are now officially the UK’s largest importer of Tuk Tuks. We have a vast array of spare parts and experience and want to encourage as many people as possible to seize the day and get a Tuk Tuk. No home should be without one! Have a look at our FAQs page or fill out the form below.